CONTESSA OKAMURA Chairs are available in 12 color variations of MESH and FABRIC. CONTESSA OKAMURA Black Mesh Ergonomic Chair. CONTESSA OKAMURA Dark Blue Mesh Ergonomic Chair. CONTESSA OKAMURA Light Blue Mesh Ergonomic Chair. 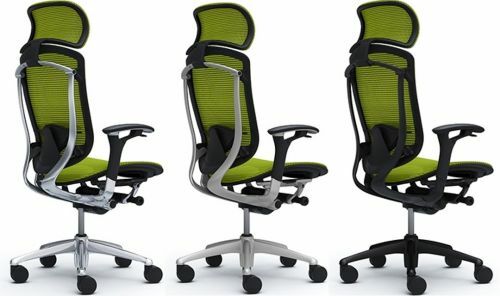 CONTESSA OKAMURA Lime green Mesh Ergonomic Chair. CONTESSA OKAMURA White Mesh Ergonomic Chair. CONTESSA OKAMURA Orange Mesh Ergonomic Chair. CONTESSA OKAMURA Beige Mesh Ergonomic Chair. CONTESSA OKAMURA Red Mesh Ergonomic Chair.